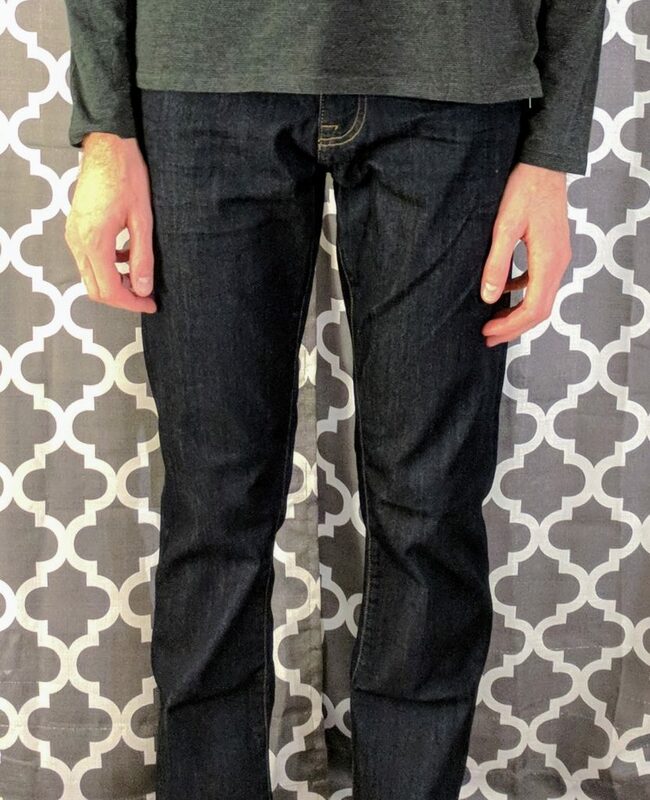 It’s time for another men’s Stitch Fix review! This week we’re looking at winter picks for the guy in your life, or yourself, depending on who is reading this. Brian was hoping for a box that would add to his cold weather clothing options. Let’s see what Stitch Fix sent. While Brian was looking for winter clothing pieces, I’m not sure he had a thermal shirt in mind, even though it would be a good item for some of those more brutal wintry days. I really like the blue color of the shirt, and it compliments blue eyes very nicely. If you’re looking for a nice layering piece, I’d suggest adding this to your closet. Brian’s Thoughts: Thanks, but no thanks. 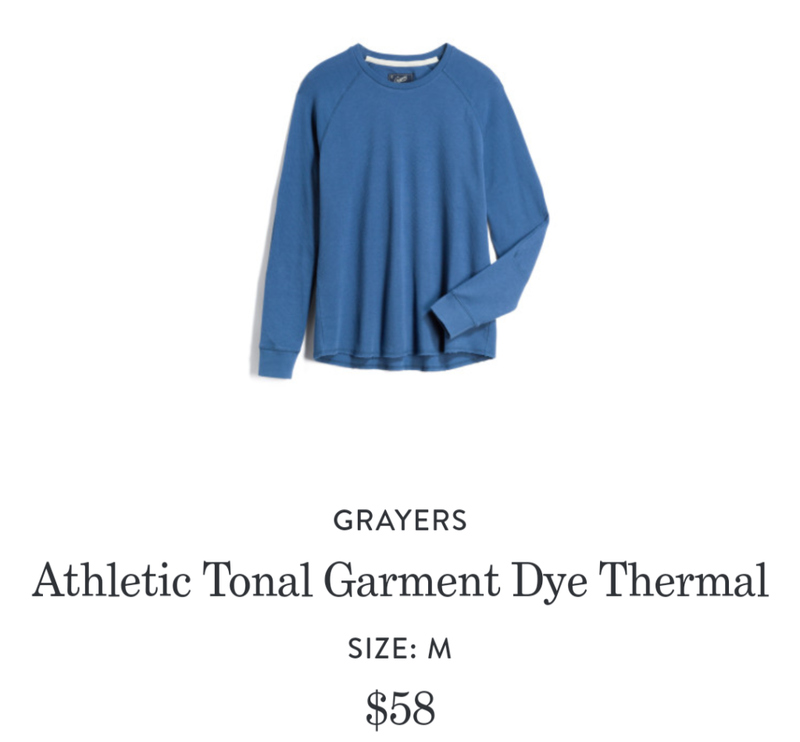 I can appreciate that this thermal top would help keep me warm during the winter, but I’d much rather wear a shirt with a collar than be comfortably warm. Next up was a dark colored polo with a subtle print, that his stylist hoped would elevate a casual look. Now Brian likes a nice occasional polo, but typically only short sleeved polos. I may have seen him in one or two long sleeve polos in our 12+ years together. 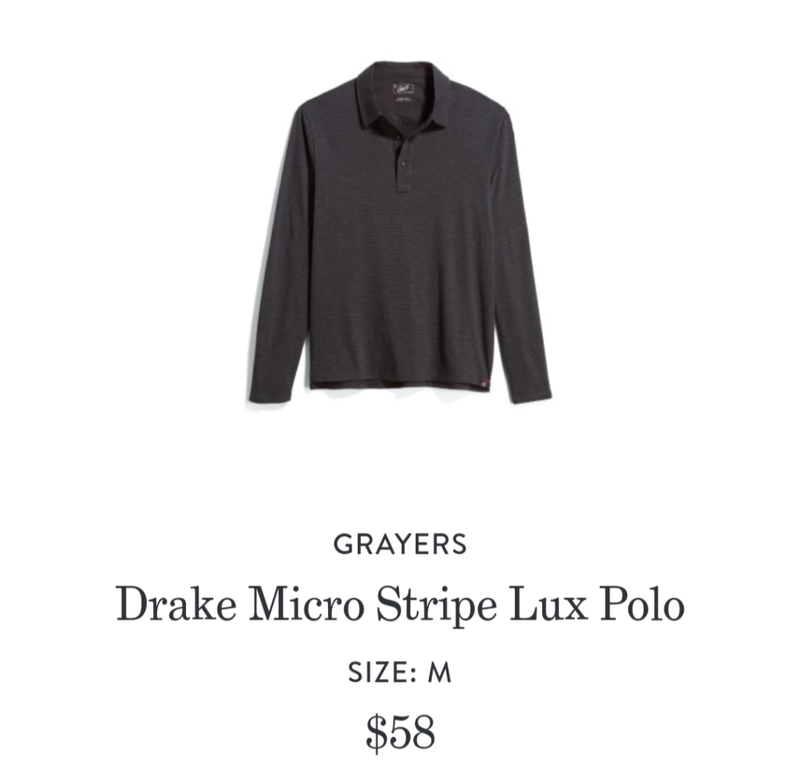 I knew immediately this polo wasn’t going to be a huge hit, one because the color was dark and dreary, and two the style. Brian’s Thoughts: Eww, a long sleeve polo. In the summer I’m a big fan of polos, the short-sleeve variety is comfortable to wear and doesn’t look too casual. Their long-sleeve brethren, on the other hand, look like someone glued a collar onto a thermal top. I’ve always been a fan of plaid shirts on men, when the patterns and colors aren’t too busy. This shirt ticks my boxes as a nice long sleeve plaid shirt that you can dress up or down pretty easily. 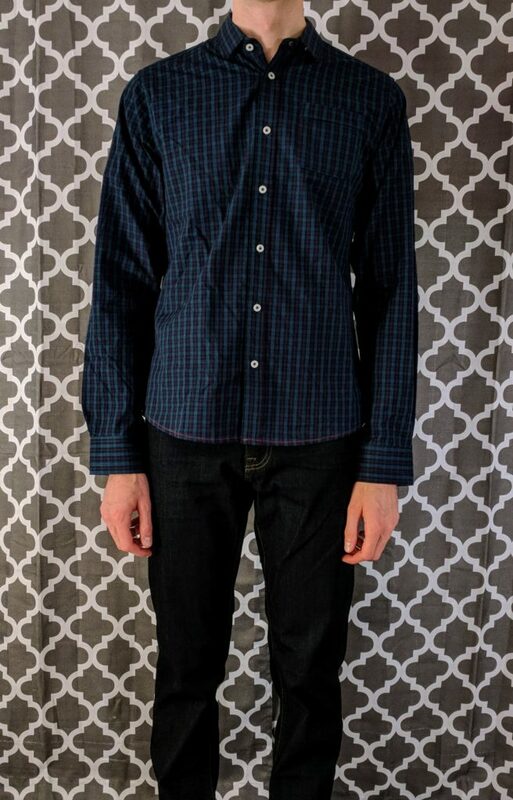 Pair this shirt with some jeans for a casual look, or layer with a nice sweater or sports coat to take it up a notch. Brian’s Thoughts: Finally, something in this box I can get behind! I very much like this shirt, it’s on the fitted side but still feels comfortable to wear. The non-standard blue tones are a nice addition to my wardrobe. More men should wear button up shirts. I always thinks it makes them look so much more put together than a casual shirt. 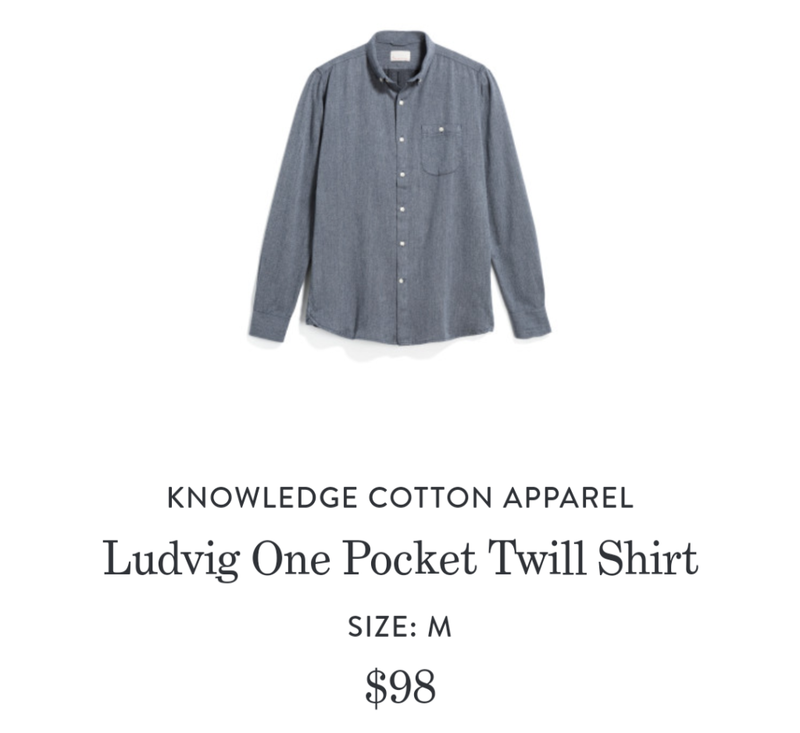 This Knowledge Cotton Apparel shirt is a nice medium greyish blue color that is a bit textured. 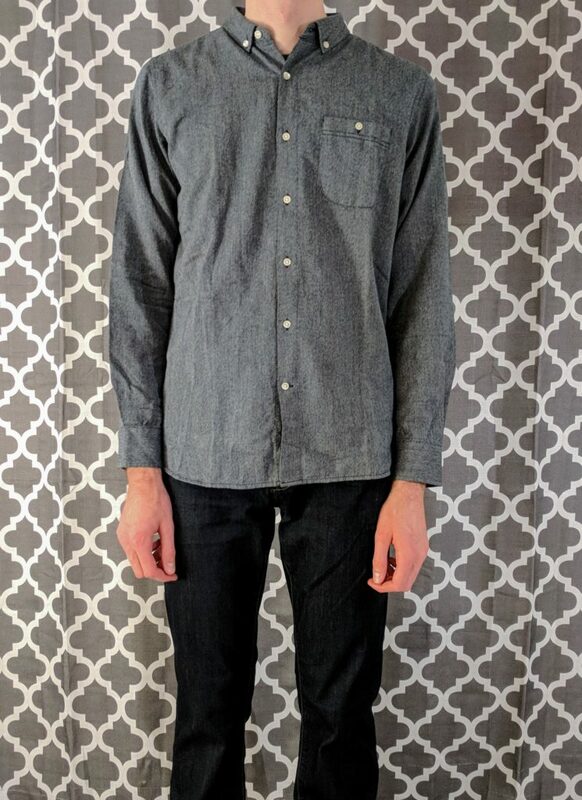 Most of Brian’s shirts are all the same plain old smooth cotton texture, which is totally fine, but it can be fun to spice up a wardrobe with a nice textured piece every now and then, and this shirt does it nicely. 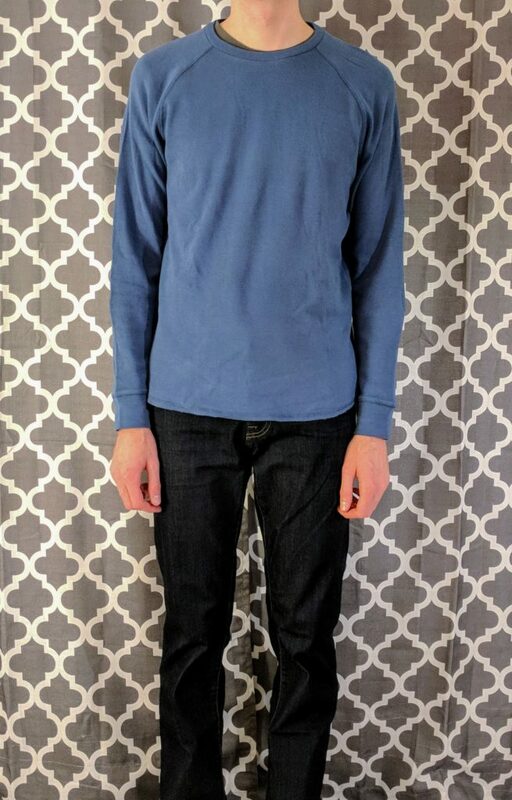 Brian’s Thoughts: I liked the style and pattern of this short, but a medium was too short in the sleeves for me. I sent it back and got a large. The collar is on the thinner side, but the fabric is nice and warm for winter days. 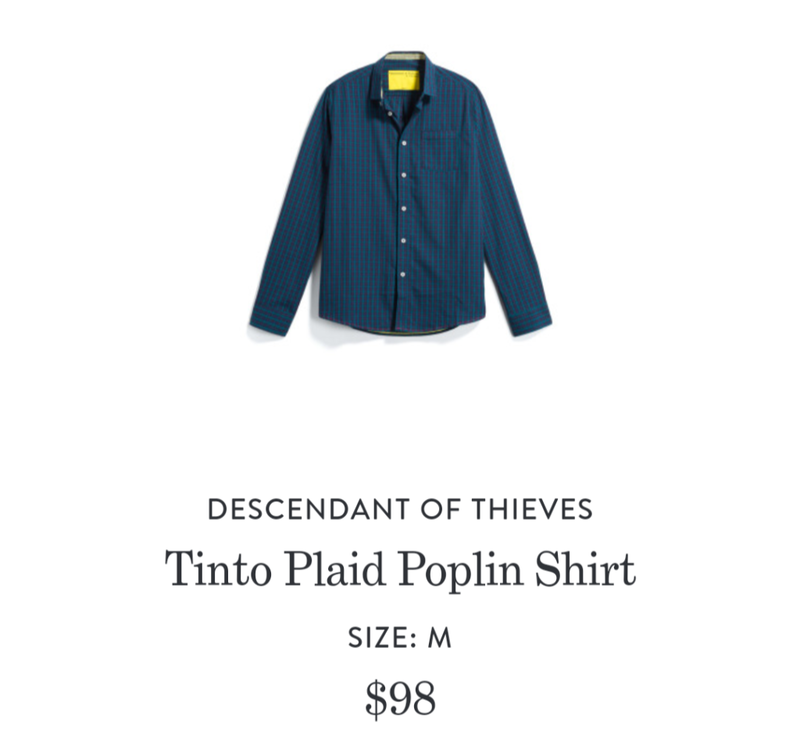 The last item included in this Fix was a nice dark washed blue jean. 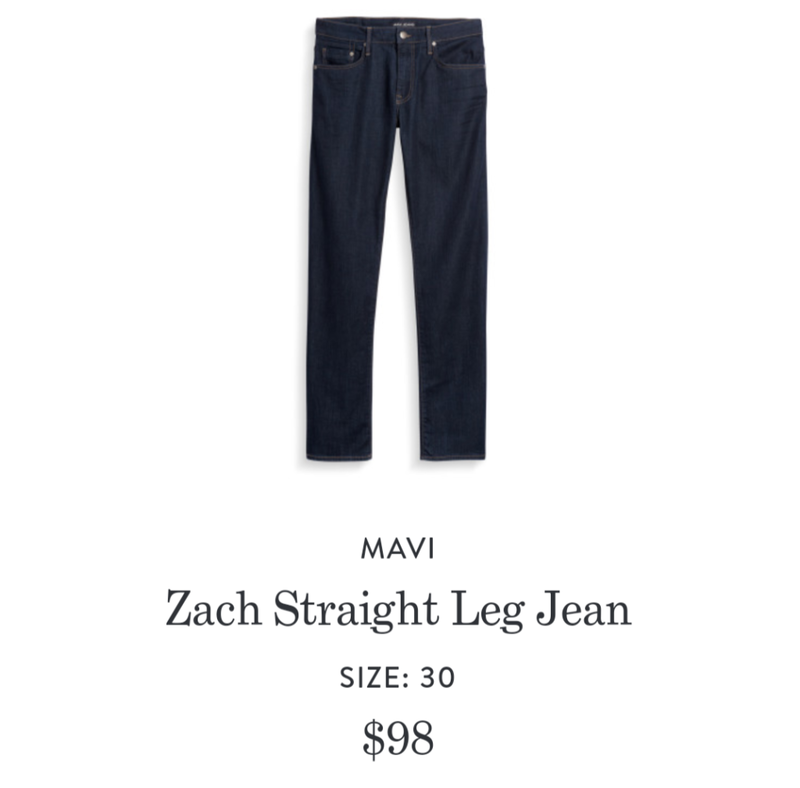 It can be so hard to find jeans for tall skinny guys, but Stitch Fix has done it again with this great pair from Mavi. The fit and color are perfection. I absolutely love these pants on Brian, and highly recommend them for those looking to add a more stylish pair of jeans to their wardrobe. They are definitely worth the price! Brian’s Thoughts: My previous go-to pair of blue jeans were showing their age so these arrived at the right time. They fit comfortable, have adequate pocket space, and don’t have any of those holes or pre-stained spots that ravage modern jean suppliers. I pair these often with the Descendents of Thieves top. 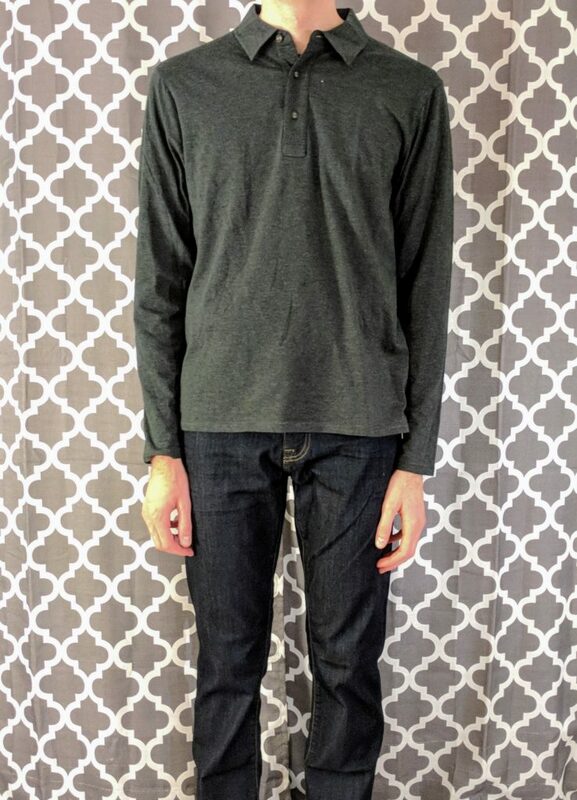 Final Impressions: This Fix was full of dark colors, hence the title of the blog, but there were a few great pieces in there that have really added some great fit and style to Brian’s day to day wardrobe. Considering the items that Brian kept, I’d say he made out pretty well. He’s already got another Fix scheduled in hopes of getting some more great fitting pants. Brian’s overall impressions: Statistically, 3/5 feels like a disappointing fix. The first two items were pretty strong misses in my book, but the jeans and blue shirt made up for it. I’ve been wearing these for a few weeks now and they seem to be solid additions to my wardrobe. 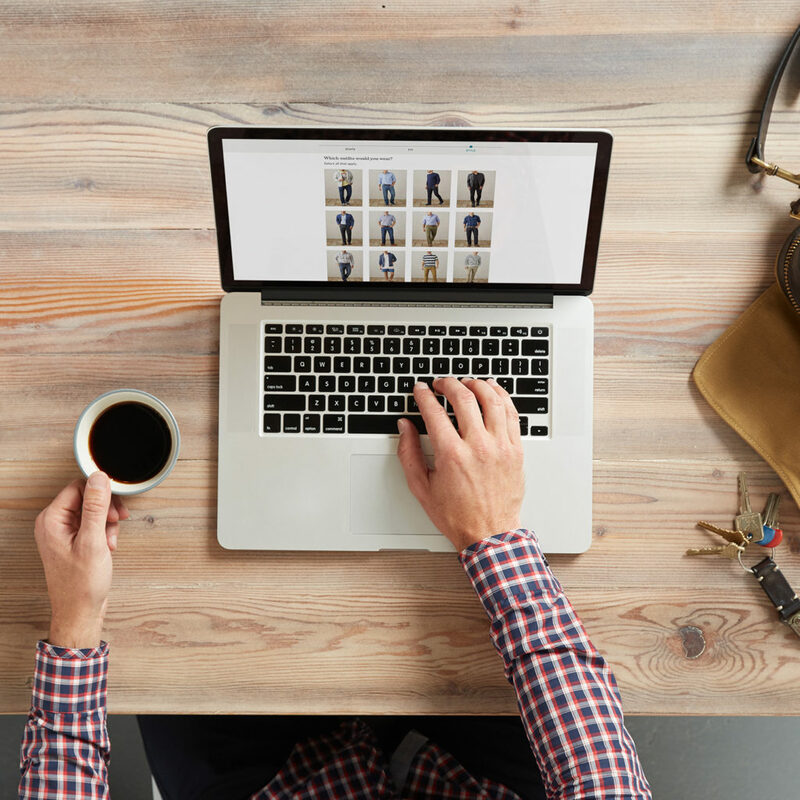 BREAKING NEWS: Haven’t tried Stitch Fix yet? 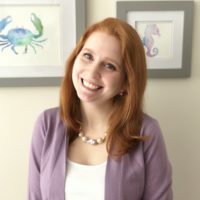 Well, Stitch Fix is doing something amazing, from now until the end of January they are waiving the styling fee! That’s right, you can finally try Stitch Fix worry free because you won’t have to pay anything to give it a try. Traditionally, you have to pay $20 for each fix (a styling fee) but in spirit of the holidays, they are waiving the fee! Get your first styling fee waived and try Stitch Fix risk free! Sign up today!